These are so chewy and moreish! Cashews and dates are insanely good together so what more could you want? Chocolate! 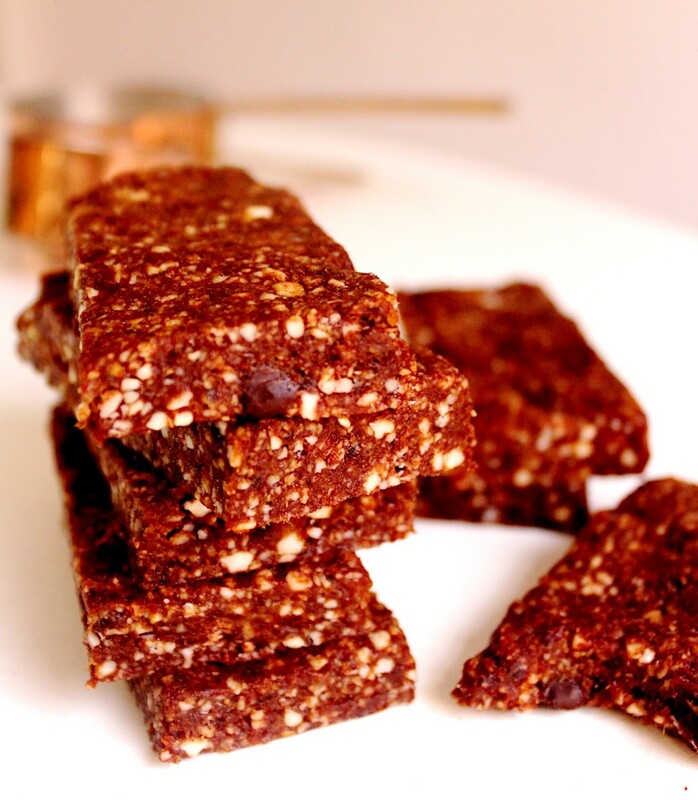 These are full of raw cacao powder which gives them delicious chocolatey richness and is packed with antioxidants, combined with the dates and cashews these are an amazing energy pick me up. They’re just what you need for a long walk in the countryside or as a treat in the middle of a busy day! Add the dates to a bowl and pour boiling water over them. Leave them to soak and soften for about five minutes. 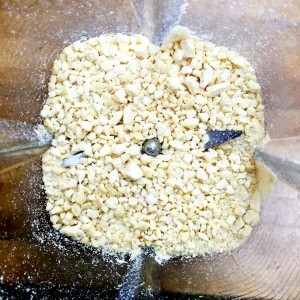 Add the cashews to your food processor and blitz until you have a coarse, bitty mixture. You want them really broken down but still with a few chunks. Add the cacao powder and blend to combine. 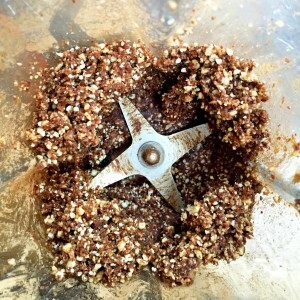 Drain the dates and add them to the food processor. 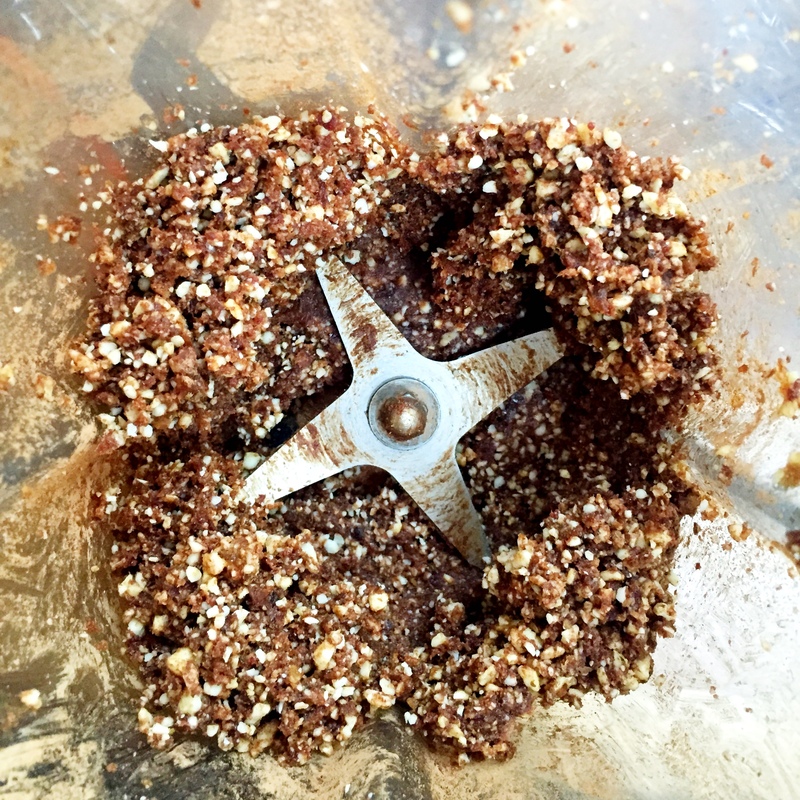 Blend on high until everything is completely mixed and you have a sticky, crumbly paste. If adding dark chocolate bits, chop your chocolate into little chunks. Then add the cashew mixture to a bowl and mix the chocolate in. Line a baking tin with parchment paper and press the mixture into the tin. It doesn’t matter if the mixture doesn’t fill the tin, just press it into a square your desired thickness. 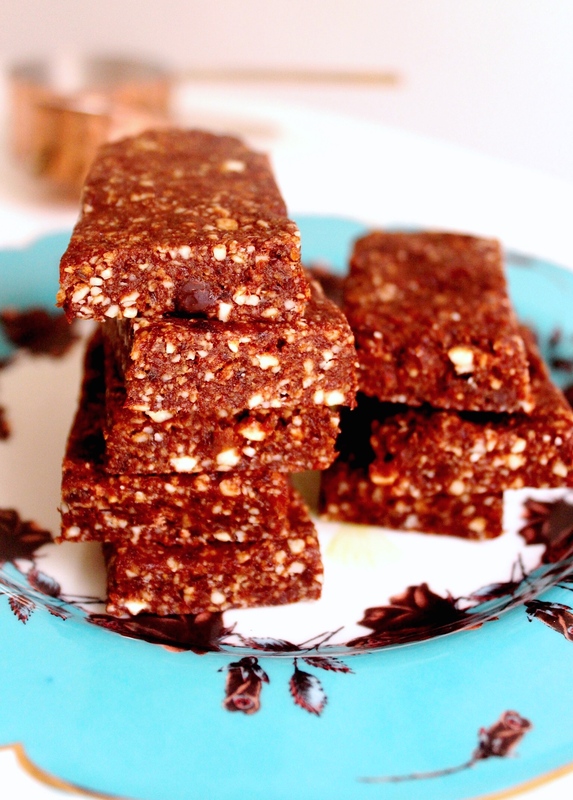 Pop it in the fridge for about half an hour and then chop into bars or squares. Will keep for up to 3 weeks in the fridge in an air tight container or for about 3 days in the cupboard. Hi Indy, these look incredible, going to make them today. Can I ask you, do you use your vitamix as a food processor too? I do (as I don’t have a good processor), but sometimes worry I’ll damage it! Hi Rhona, I use my vitamix for almost everything, including this recipe! The only time I don’t is if I need a wider bowl or if I’m using the grater or slicer attachment in my food processor. It works amazingly, but the blades can overheat sometimes when making nut butters etc which is frustrating. It just turns off and won’t restart until they’ve cooled which can be up to an hour. This doesn’t happen often though and for this one I would use your vitamix for sure! Hope you love them! Hi there! These are amazing. A friend of mine made them last night, and I have pinched a couple. Delicious! She added some almond butter to hers, because she doesn’t like anything too chocolatey, and it was really good. Have you got any other flavours that you have tried and tested? I’m thinking a chocolate orange would be amazing! Hi Indy, made these today. They were yum! !